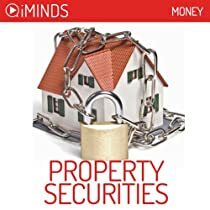 Learn about Property Securities with iMinds Money’s insightful fast knowledge series. Property securities are interests in property trusts that are listed on the stock exchange. These listed property trusts are known globally as Real Estate Investment Funds, or REITs. They hold portfolios of property assets that consist of large properties that, due to their size and value, could not be bought by average private investors. REITs break these large investments up into smaller units that can be purchased by individuals, investment institutions and managed funds. The trust manages the properties and investment direction and distributes rental income to the investors. Unit holders trade on the stock market where the value of the unit is determined by demand and supply. The economies-of-scale realised by large trusts, the expertise required for successful non-residential investment and the significant funding required to diversify in this type of property result in REITs maintaining a strong dominance in the commercial property market.Created in 1960 by the U.S. Congress, REITs were originally designed to provide access for all income levels to diversified, professionally managed real estate previously reserved for large real estate organisations. While initially showing slow growth, the industry grew dramatically from the early 1990. This was sparked by demand for liquidity from institutional investors recovering from the 1990 property bubble, who traditionally held direct property investments. Since then, REITS have become a mature, sophisticated, highly successful indirect property investment vehicle. Total assets of the REIT industry worldwide increased from $16 billion to $568 billion from 1992 to 2008.